Cooper Pest Solutions has been a partner of EarthShare New Jersey (ESNJ) since 2011 when the first Cooper Cares campaign that we helped to create was run. We recently sat down with Phillip Cooper, CEO, to get a better understanding of why they work with ESNJ and what they’ve learned. “Cooper Pest Solutions has had a long commitment to the environment as we started working with Jane Nogaki from the Clean Water Fund. Dr. Rick Cooper, Vice President of Technical Services and senior entomologist at Cooper Pest Solutions instilled a philosophy of minimal chemical use when performing pest management years ago. He helped to create our commitment to the environmental community and our partnership with ESNJ is an extension of this. We really want to make this philosophy contagious and recently introduced a Green Pest Services program that is rolling out rapidly across our service territory. This program provides effective pest management and protects the health of people and pets by using a combination of natural, botanical, eco-friendly and organic materials. The service is tough on bugs and friendly to the planet as it is completely green. 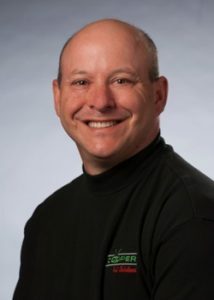 Phil currently serves on the ESNJ Board of Directors and is the Board Secretary. For more information about Cooper Pest Solutions’ Green Pest Services, visit their website here.